Unfortunately, identity theft is on the rise and elderly individuals may be most vulnerable to having their accounts hacked. They might not even realize that this has happened until it is far too late. There are several different things you can do to help your elderly loved one avoid identity theft. Use these tips to prevent an unfortunate incident. 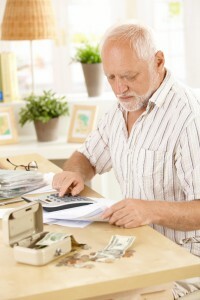 Do not have your elderly loved one carry their social security card with them. Instead it should be stored in a safe place. Never attach your social security number or a personal identification number to any card that you are carrying, or store this on a piece of paper or receipt that your loved one is carrying. Make sure that your relative has signed all of their credit cards immediately. It is best to use credit cards that only have the new chip technology. Make sure that your elderly loved one always checks his or her receipts to ensure that they received their own as opposed to someone else’s. Shred any documents that have a social security number, account number or pin number located on it. Make sure that you check your elderly loved one’s credit reports on a regular basis so that you can be alerted to fraud as soon as possible. Have your loved one store passwords for all accounts in a safe location. Contact debit card or credit card issuers immediately if you believe that your loved one has been subject to identity theft. Doing this can help to stop the thieves before it goes any further.